We’ve covered the tailgating food and supplies. Tomorrow we will dive into drinks and on Friday the fashion. So today, we will cover the FLAIR! 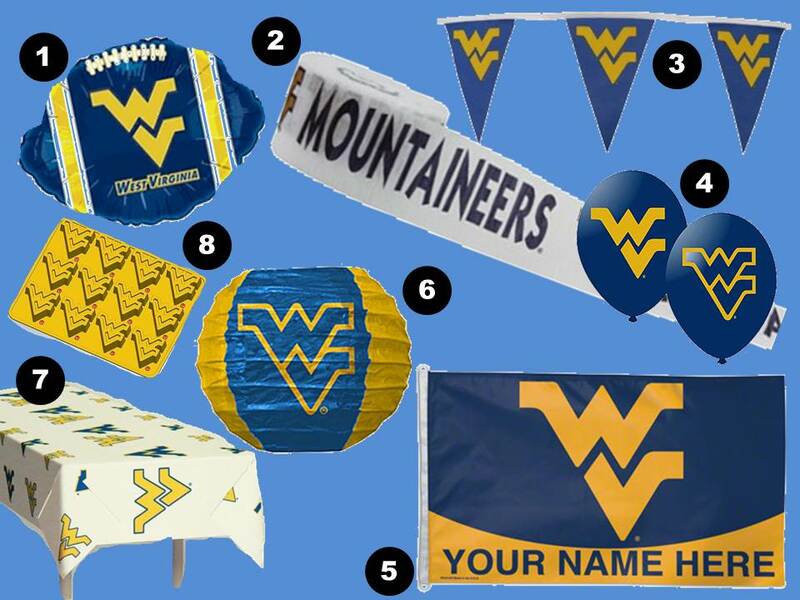 Whether you are hosting a tailgate in a parking lot or in your driveway or in your apartment, here are some items to add some school spirit to your party. Oh, what’s that? You aren’t a West Virginia fan? By all means search these sites for your school! I just hope this provides some inspiration for your party!